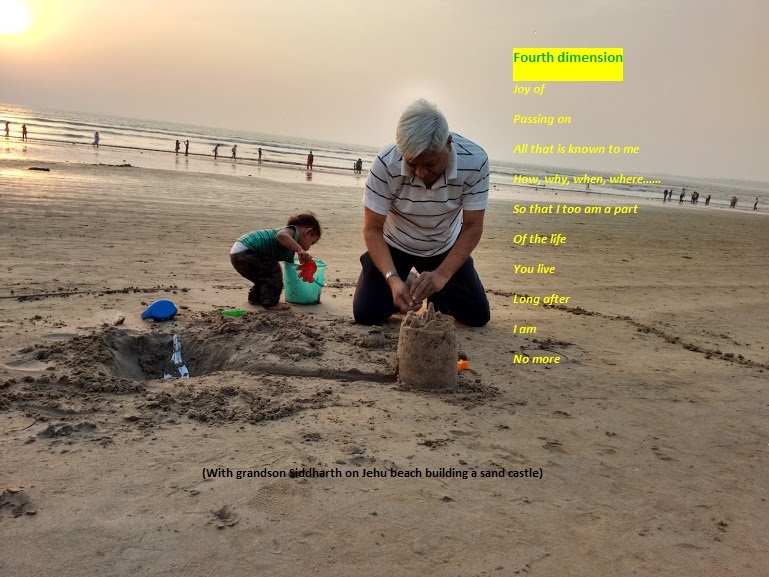 Space Within: Vacation with children. I will recommend a natural and spacious place for vacation when with family. 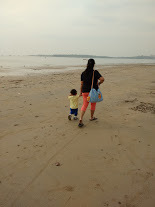 I used to love to take my children to sea beaches and hillsides in my younger days. 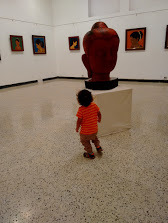 Art galleries (yes, art galleries! Do not expect them to discuss art, but they do understand it in their own way!) 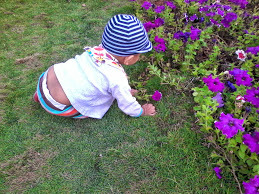 are lovely spots where children often enjoy more than adults! And of course gardens are their favorite. My most favorite places are sea beaches. 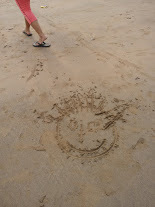 Sand is a medium that children and adults love to play with and create different world out of it! Sand castles and mountains and what not! Writing names and drawing faces and smiley is fun that comes natural to all – children, parents and grandparent! Creativity gets free flow here. Collecting seashells and arranging them later in room is an experience even my fourteen month old grandchild remembers and cherish! He often takes out collected seashells, which are now stored in a used plastic box and shows us. If he could speak, he will say – let’s go there! Let’s build sand castles and watch sun setting. I want to listen to birds chirping and breeze whistling! 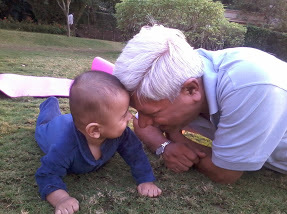 As a grandparent I know that building sand castles with my grand child was more than play and fun. It was as if I wanted to tell him all in short time. 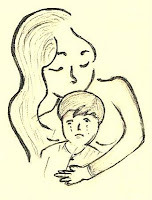 All that I did as a child and all that I want him to know – how, when, where, why.....! Let me produce a picture with few lines inserted in it. It tells what I want to say explicitly. 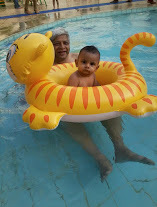 A dip in water with grandchild and his parents around is I think as holy as any holy dip in religious places. It is remembered long after vacation. One just needs to be careful if children are too young. An adult must always be there with them. Please be careful about food that you eat at sea beaches. I will recommend coconut water and packed chips. Please avoid Chats like Bhel and Panipuri. I know it is tempting, but it is not worth enough to spoil your vacation. You may try Bhutta (corn cob) freshly roasted in front of you. Some pictures under tell all. Just let go when on vacation. Your children want to see you that way. It is a gift they are waiting for! Just relax and play wherever you are and rest will be taken care by nature! 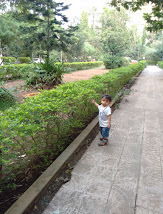 Please click : http://www.clubmahindra.com/teddytravelogues/. for most amazing travel stories!